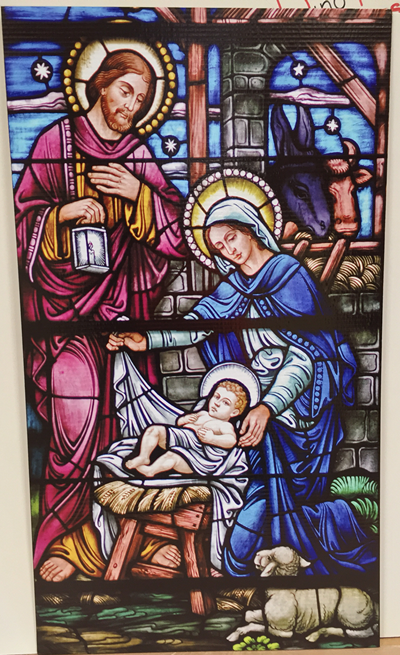 Stained Glass Nativity Cardboard Cutout Standup Prop - Dino Rentos Studios, INC. 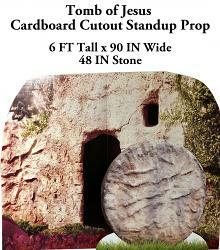 This stained glass cardboard cutout prop is self standing. In sharp and vibrant color. 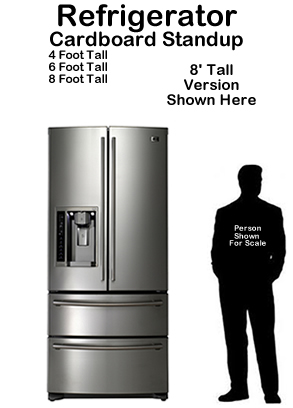 Available in 4 foot and 6 foot sizes. Select below.